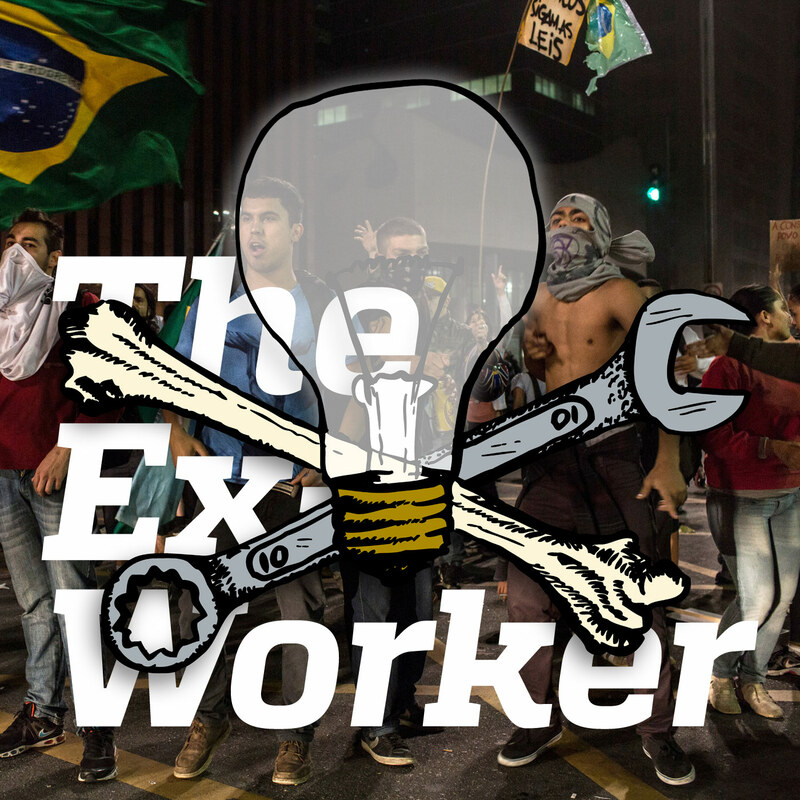 In our seventh episode of the Ex-Worker, we turn south to focus on the massive rebellions that broke out across Brazil in June. We share excerpts from the in-depth report we published from Brazilian anarchist comrades that traces a timeline of the demonstrations and analyzes their politics, tactics, and influences. There's also a review of the nihilist journal Attentat, tips on writing to prisoners, feedback from listeners on Guy Fawkes masks and small-town anarchy, and more. An update that didn’t make it into the Hot Wire for this episode: Billy “Guero” Sell, a hunger-striking prisoner in Corcoran State Prison in California, has died. Stay connected to the Prisoner Hunger Strike Solidarity Coalition for updates. As referenced in the review of Attentat, here’s some background reading on insurrectionary anarchism, Italian insurrectionist Alfredo Bonanno, and reflections on insurrection in the US anarchist context; the Situationists and Situationist International; and nihilism and its discontents. As referenced, the discussion of small-town anarchist organizing, including a report on Winona, Minnesota, appears in issue number 7 of Rolling Thunder magazine, which is available online as a PDF. Also, here’s the August calendar of political prisoner birthdays: you can write to ppbirthday [at] riseup[dot]net to request copies, find out about local letter-writing events, and more.